Berths have been secured for yourself and Mr.Mottram in the steamer leav¬ing Liverpool for Akassa on the 28th inst. I have received a promise of a separate cabin for yourself and probably-but this is not certain-for Mr. Mottram. Doubtless Mr. Flint, our Agent General and Chief of the Execu¬tive Power in the Territories, will meet you at Akassa, as he has full instruc¬tions about your expedition, which he will assist to the utmost of his power. 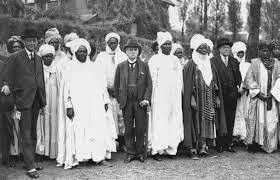 But should it prove that, owing to his being up country when our letters arrived, he has not been able to reach Akassa in time to meet you, you are furnished, herewith, with a letter for the local authority at Akassa to pass your expedition up to Lokoja as rapidly as possible. Mr. Watts, our Senior Execu¬tive Officer in the Nupe Districts (which include Jebba and Bajibo) cannot sail with you as I had hoped, owing to urgent private affairs; but he will follow the next week in a steamer which will land him in the Forcados River, whence he will make his way up to reach you at Lokoja or higher up and assist in collecting and starring your expedition. You cannot do better than trust to the experience of Mr. Flint and Mr. Watts to get together all the men, horses, donkeys etc that you require. Mr. Flint has instructions to detach from our staff an able young man, Mr. Reynolds, to accompany you. You will find him docile and active, while his constitution is thoroughly acclimatized-an im¬mense advantage in Western Africa. I believe him to be thoroughly sober, but there are few men in West Africa whom I should trust too tar with the care of liquors: the depressing climate predisposing the best men to take stimulants unduly. I say nothing of your journey from Akassa to Jebba or Bajibo, lea, ng this for you to arrange with the local authorities: but if you decide to make your start from Bajibo instead of Jebba, please to insist that no launch is used in that dangerous stretch of river for tl1e transport of either your men or stores. The officials might feel bound to press this civility on you, instead of transporting by land; but the Council could not recover the insurance on a vessel lost in these dangerous rapids. (b) to touch that point on the 9th parallel of north latitude which is the eastern and northern limit of the present French Da¬ homey sphere and to advance from that point about W.N.W.so as to pass between Tschautscho land and Sugu. (f) to return by any route that you like, bearing in mind Nikki and also what will have been done by the expedition just returning under Mr. Wallace, of whose work you will obtain full information when you arrive in the Territories-that is, it would be of no use your making tor Say and working your way down river, if Mr. Wallace has been able to carry out his instructions to do this; but if he has failed to do so, then such work would be most valuable, as we want treaties south and •west of Sav, even with people who are really tributary to Gandu. In your itinerary westwards it may be necessary for you to zig-zag a good deal, so as to run networks of treaties across and between the few treaties obtained by Monteil, Crozat and (in a portion of your region) Binger, tor France.